Waste Oil Burner or Multi Oil Burner – The multi talented oil burner ! Waste Oil Burner -Warm air heaters are the most economical way of heating a commercial or industrial workshop,factory, garage, warehouse etc. especially when they are run with a multi/waste oil burner instead of a conventional oil or gas burner. 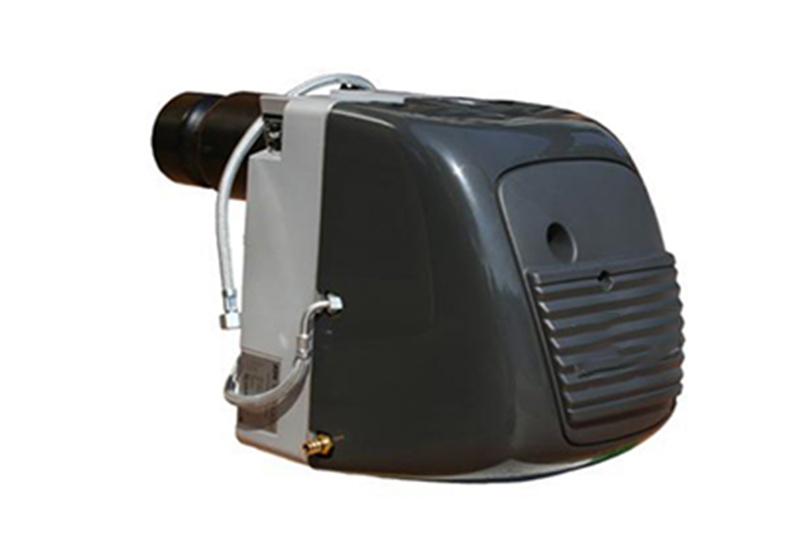 Flexiheat offers you a large product range of warm air waste oil heaters and boilers, specially designed for this purpose. Without any significant modifications, mineral oils, vegetable oils and animal oils can be used as a fuel source. There are no special tools required. Just turn a dial to adjust the pre-heating temperature and the combustion air to the oil in question.This is one of the very few burners to be designed and approved to burn pure rapeseed oil and conforms to European Standard EN 267 with relation to rapeseed oil according to DIN 51605. This makes it a full bio oil burner, from B10 to B100 classification for bio oil. Waste Oil Burners – How do they work ? The combustible oil is atomized using compressed air at comparatively low pressures.This allows us to use larger nozzle diameters which prevent blocking of the nozzles,even if polluted or viscous oils are being burnt. A separate fuel supply system lifts the oil out of the storage tank and pumps it reliably over large distances to the burner. Here, it is filtered and preheated.This is important – for a consistently good quality of ignition and combustion of the waste oil. Due to the ever increasing cost of mineral oils, vegetable oils are playing an more important role as a fuel source. Their calorific value is very close to the values of heating oil. Vegetable oils are renewable , CO2 neutral and do not contain any sulphur or heavy metals. 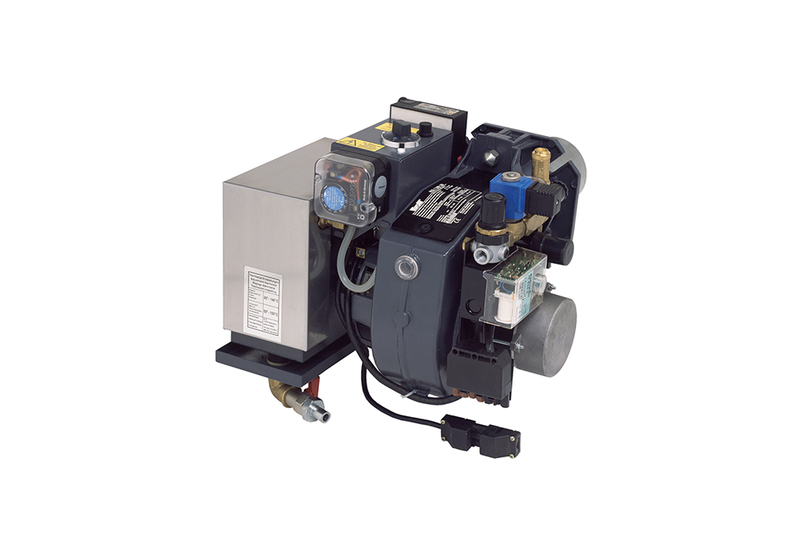 Most new and old boilers, and our Waste Oil Warm Air Heaters can easily be equipped with a Kroll universal / waste oil burner, giving you the flexibility to choose the oil you want: be it for economic or ecological reasons , or a combination of both. We at Flexiheat UK are always listening to our customers and what they require. One of the requests has been for larger waste oil burners . To satisfy this requirement we now can offer these waste oil burners,from 17kw to 1,200kW. This range of burners require an external compressed air supply of 2.5 Bar , and the volume of air required will vary with regards to the output of the burner – please see chart further down this page. Please note – Do not use transformer oil, capacitor oil, petroleum and thinners! 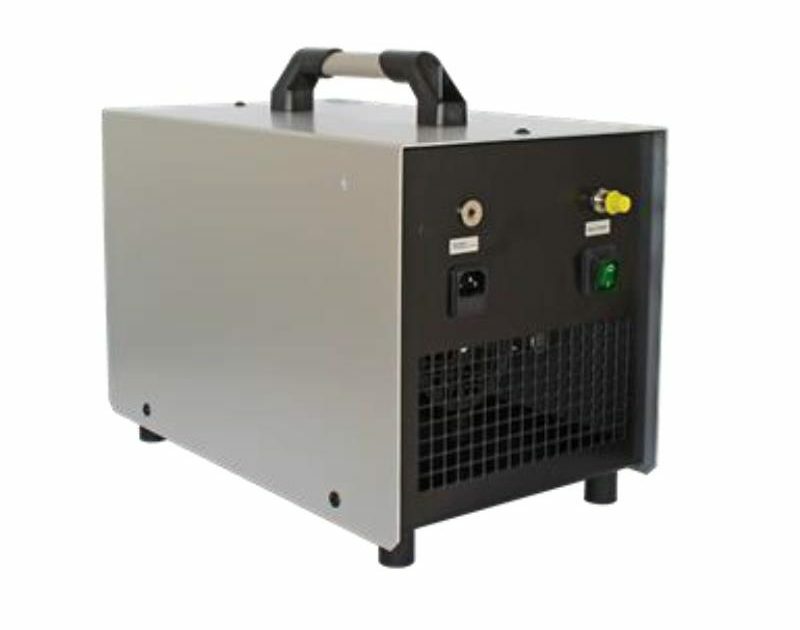 We encourage you the customer to use compressors with tank capacities of 80-100 litres, thanks to which the compressor operation pause times can be extended, as meany compressors aren’t continuously rated . In case of the waste oil burners being installed in areas where the noise levels can’t be high, we suggest using screw compressors or medical compressors, the noise levels of which amount to 45-50 dbA. These Flexiheat waste oil burners are designed for continuous operation throughout the entire year, and do not require daily maintenance. However, due to normal wear of the burner components, it is recommended to have service personnel maintain the appliances at least once per year before the start of the heating period. In case of burners operating all year long without a seasonal brake, then service the burner after 2,500 hours of operation. The fuel system requires maintenance in terms of cleaning of filters found in the fuel tank and the precision cleaning filter placed just upstream from the pump. The filter cleaning frequency depends on the type of fuel used for combustion. For light fuel oil (i. e. kerosene / gas oil and similar), this time may be extended to a couple of heating seasons. Flexiheat UK, despite this, recommends cleaning of filters before each heating period. In case of use of waste fuel, mineral oils or plant oils, filter cleaning is recommended every 700 hours of operation. Note burning used vegetable oils, please ensure they do not contain excess solids, as these shall cause the filter cleaning periods to shorten drastically. It is recommended to place a vacuum meter on the fuel filter clean side to control the filter cleanliness on a continuous basis, and will allow one to prevent emergency burner shutdowns due to lack of fuel. The usual maintenance procedures for the burner also entail checking the combustion chamber condition of the warm air heater or boiler, in which the burner operates. The combustion chamber condition lets one determine, whether the combustion process is correct. A wet combustion chamber and dark colouring of the walls all point to bad combustion of the oil, while a dry chamber with a beige hue covering it indicates a correct combustion process.